The term propolis comes from the Greek words PRO – in front of, and POLIS – town, which can be translated as outskirts or town defence. The term justifies the role of propolis in a hive. Bees use it as a sealant for unwanted open spaces to protect the interior of the hive from moisture, wind, insects and animals, presence of which may disturb or jeopardize life and work in beehives. Also, besides the described protective role, its hygienic-sanitary role is extremely important because honeybees’ life demands strict hygiene, adequate cleanness and order in a hive. Numerous research studies demonstrated that propolis ensures wide therapeutical effects thanks to its valuable composition and characteristics. It is produced from small particles of aromatic resin which honeybees (Apis mellifera var.) collect from tree buds, sap flows, or other botanical sources, mixing it with the secretion of their jaw glands and particles of wax. 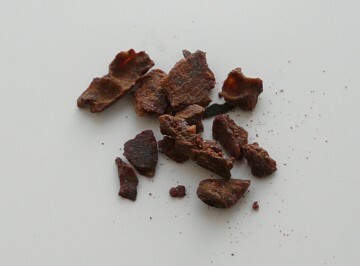 Raw propolis is composed of 55% of resin, 30% of wax, 10% of aromatic and aetheric oils, and 5 % of pollen. There are vitamins B1, B2, B6, C, E, pantothenic and nicotin acids, as well as minerals: sodium, potassium, magnesium, calcium, zinc, iron, manganese, nickel, copper, strontium, cobalt, molybdenum, vanadium, etc. Biologically active components of propolis can be classified in several groups, out of which flavonoids and phenol acids must be singled out. The best- known flavonoids, found in propolis, are: galangin, quercetin, pinocembrin, pinobaksin, chrysin, etc. Effectiveness of propolis is primarily attributed to them. Science has confirmed empirical theses that propolis has antibacterial, fungicidal, antiviral, antiflogistic, and antioxidant properties, as well as its local anaesthetic, biostimulative and immunomodulative effects. All these characteristics of propolis can be summed up under the principal one – it is a natural antibiotic. It should be accentuated here that propolis has no harmful effects on human organism. Allergic reactions and resistance to it are rather rare. Products containing propolis are administered perorally, and they are also suitable for external use on skin and mucosa. Products with propolis can be used both in acute state of illness and chronic diseases. Certain products can be used for preventive purposes as well. They are safe to be consumed in addition to the therapy prescribed by the medical doctor.